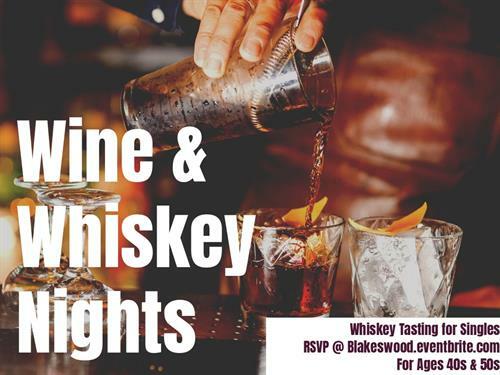 Blakeswood Matchmaking presents Wine & Whiskey Nights, an exclusive new event series for singles ages 40s and 50s that takes place on the 1st Thursday of every month. This month we are featuring whiskey tasting at the swanky, speakeasy style lounge, The Alley. Enjoy a evening with great people and great whiskey. Sip, savor, socialize. This is a ticketed event with limited availability. Be sure to get your tickets early! Wine & Whiskey Nights is hosted at rotating venues in LA and features wine or whiskey tasting every other month.